It is necessary to manage your time while packing. Always start well in advance, with a checklist of different categories of items, and start filling a box daily. Label these boxes in order to fill the items on basis of requirements. The things that are not frequently used are the first to go in these storage boxes. Before you move into a new home, it is necessary to stack up on basic amenities, like snacks and toiletries. A general problem that occurs while shifting is to have to search for the box of essential commodities. This frantic shuffling can be avoided by foreseeing a basic amenity check-up and stocking up your new apartment. Shifting is a tedious process and there are a lot of factors which can become a chore. Hiring a moving company to shift everything into your new home is the smart option to go for here. These companies offer a free in-house survey regarding your belongings and how they would go about shifting them to your new home. Based on this survey you can check if the company has the ability to carry out the shifting process before hiring them. If you stay in a home over a long period of time, there are lot of items bought and collected through the years. While moving, you may realise that you do not really need all of those things accumulated over time. 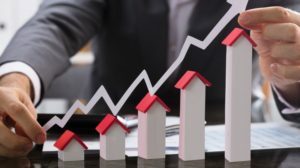 In such a situation, it is advisable to sell items which you have outgrown, which are outdated, or do not serve any purpose in your new home. You can also donate these unwanted items. Moving heavy objects is a gruelling ordeal. It is advisable to pack these heavy objects with necessary precaution to avoid any injuries or damage to other items and property. If possible, try to disassemble the heavy furniture, shift, and then reassemble it at your new home. Generally, a new home is cleaned beforehand. However, it is always healthy to hire a cleaning service and make the entire home liveable to your standards. The cabinets, counters, plumbing fixtures and carpeting should be cleaned at least once, to fully enjoy a fresh start in your new home. Shifting to a new home is all about designing the perfect home. It is important to create a space that resembles your personality. You could visualize the design of your new home from the wall patterns and frames to the exact placement of your entire furniture. Make it a priority to put everything in place before the family moves in. Make a clear account of all the things that need to be accomplished before the move and start completing them. Always remember, organization is the key to a perfect shifting. 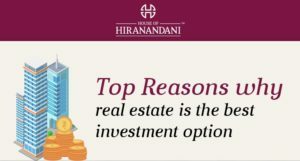 At House of Hiranandani, we have a range of apartments in Bangalore, Chennai and Hyderabad you’d love to shift in.